We motivate the Ĝ infrared search for extraterrestrial civilizations with large energy supplies. We discuss some philosophical difficulties of SETI, and how communication SETI circumvents them. We review “Dysonian SETI”, the search for artifacts of alien civilizations, and find that it is highly complementary to traditional communication SETI; the two together might succeed where either one, alone, has not. We discuss the argument of Hart (1975) that spacefaring life in the Milky Way should be either galaxy-spanning or non-existent, and examine a portion of his argument that we dub the “monocultural fallacy”. We discuss some rebuttals to Hart that invoke sustainability and predict long Galaxy colonization timescales. We find that the maximum Galaxy colonization timescale is actually much shorter than previous work has found (109 yr), and that many “sustainability” counter-arguments to Hart’s thesis suffer from the monocultural fallacy. 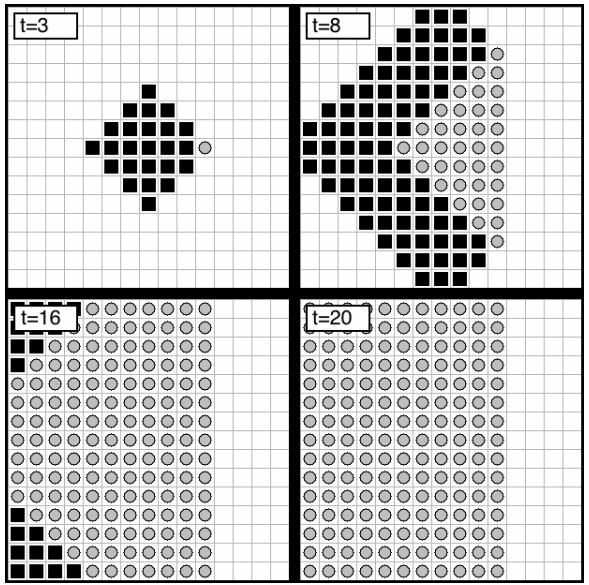 We extend Hart’s argument to alien energy supplies, and argue that detectably large energy supplies can plausibly be expected to exist because life has potential for exponential growth until checked by resource or other limitations, and intelligence implies the ability to overcome such limitations. British scientists are to make a concerted effort to look for alien life among the stars. Academics from 11 institutions have set up a network to co-ordinate their Search for Extra-Terrestrial Intelligence (Seti). The English Astronomer Royal, Sir Martin Rees, will act as patron. The group is asking funding agencies for a small – about £1m a year – sum of money to support listening time on radio telescopes and for data analysis. It would also help pay for research that considered new ways to try to find aliens. Currently, most Seti work is done in the US and is funded largely through private donation. UK Seti Research Network (UKSRN) co-ordinator Alan Penny said there was important expertise in Britain keen to play its part. “If we had one part in 200 – half a percent of the money that goes into astronomy at the moment – we could make an amazing difference. We would become comparable with the American effort,” the University of St Andrews researcher told BBC News. The UKSRN held its first get-together at this week’s National Astronomy Meeting. 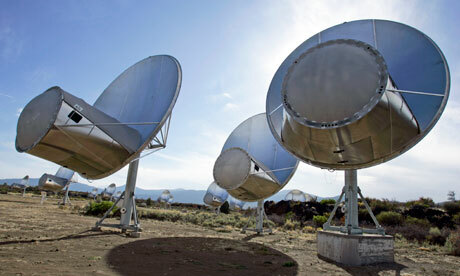 British researchers and facilities have had occasional involvement in Seti projects down the years. The most significant was the use in 1998-2003 of Jodrell bank, and its 76m Lovell radio telescope, in Project Phoenix. This was a search for signals from about 1,000 nearby stars. Organised – and paid for – by the Seti Institute in California, it ultimately found nothing. Jodrell has since been updated, linking it via fibre optics into a 217km-long array with six other telescopes across England. Known as eMerlin, this system would be a far more powerful tool to scan the skies for alien transmissions. And Jodrell’s Tim O’Brien said Seti work could be done quite easily without disturbing mainstream science on the array. “You could do serendipitous searches. So if the telescopes were studying quasars, for example, we could piggy-back off that and analyse the data to look for a different type of signal – not the natural astrophysical signal that the quasar astronomer was interested in, but something in the noise that one might imagine could be associated with aliens. This approach would get you Seti research almost for free,” the Jodrell associate director explained. “There are billions of planets out there. It would be remiss of us not to at least have half an ear open to any signals that might be being sent to us.”…. Jill Tarter once complained to me that she had no poetry in her soul. It was 1990, and NASA was getting ready to undertake a survey of the 1,000 nearest stars, looking for radio signals from aliens. Dr. Tarter, then 46 and a researcher at NASA’s Ames Research Center in Mountain View, Calif., was in charge of it. “I can’t say what they will be like,” she sighed, when asked to speculate about the nature and motives of these putative aliens. She was far too busy worrying about how to recognize a signal, not to mention how to avoid being fooled by the kid next door or a stray weather or spy satellite. For some three decades, Dr. Tarter, now 68, has been the person most likely to be the first to know if we make contact with E.T. — the one who will sound the alarm, spreading the news that We Are Not Alone. Now Dr. Tarter is stepping away from the radio telescope, retiring from her post as the director of the Center for SETI Research at the SETI Institute in Mountain View. SETI, of course, refers to the search for intelligent life in the universe. “The SETI Institute has a good pension plan — we’re grown-ups,” she said by telephone recently. There will be a dinner and speeches in her honor at SETIcon, a gathering of astronomers, astronauts and science-fiction fans in Santa Clara this weekend. “I hope it’s not a roast,” she said. Dr. Tarter never did get to deliver the news that we have company. But this, she contends, is not disappointing. What would be disappointing is if humans were not able to search for their neighbors at all. Over the decades she has brooked few distractions from that quest. When a reporter (O.K., it was me) once described Dr. Tarter’s blond hair tied with a pink ribbon into a ponytail, she cut her hair short. When the SETI researchers got a new radio telescope for their search — the Allen Array, at the University of California’s Hat Creek Observatory in Northern California — she got a pilot’s license so she could make the trip from her Berkeley home in one hour instead of six. Jodie Foster’s performance as an astronomer who does make contact, in the movie “Contact,” was largely based on time she spent with Dr. Tarter. Three times, Dr. Tarter says, she has thought we had made contact, but hard-boiled caution prevailed. Once was in France in 1980, when she and her team had to wait for a suspicious source to pass over their telescope, and Dr. Tarter was afraid to go to sleep. “I had to stay up for three days, afraid my French colleagues were going to call up Le Monde,” she said. Another time, while she was observing with a radio telescope in West Virginia, Dr. Tarter went so far as to alert colleagues in California of an auspicious signal — and then forgot to call back when she discovered it was a satellite. None of them was E.T. calling. Each one was another way to be fooled, another addition to Dr. Tarter’s checklist, another necessary step along a path that may or may not have an ending. It was in the 1970s while she was pursuing a Ph.D. in astronomy at the University of California, Berkeley, and raising a daughter that she first heard of SETI: the idea that lonely species could bridge the voids between stars with radio waves. She fell in love with it after reading a NASA report on the subject edited by Barney Oliver, the former head of research at Hewlett-Packard. Reassuringly, Dr. Oliver was a crusty gear head who had made himself and others rich, not the sort of man given to romantic fantasies. Hard-boiled, you might say. Dr. Tarter said she considered herself lucky to have been born when the issue of life in the universe had become a scientific instead of a philosophical or religious one. “For the very first time we had technology where we could do an experiment instead of asking priests and philosophers,” she said. The NASA survey that Dr. Tarter led began with great fanfare on Columbus Day of 1992, the 500th anniversary of the great explorer’s arrival in the Americas — a day that she called the high point of her life, a monument to human curiosity. “I felt so proud,” she recalled. With help from Silicon Valley friends, Dr. Tarter and her colleagues at the institute took the search private and, over time, began to expand it farther out in space, to stars identified by the Kepler spacecraft as having planets. Last year, however, the recession left the University of California with no money to operate Hat Creek Observatory, and the Allen Array had to be shut down, a moment that Dr. Tarter called the low point of her career. “To have built that beautiful instrument and then have to turn it off, that hurt,” she said. The Allen Array is now back on the cosmic search job, thanks to a deal to share observing time on it with the Air Force. But to Dr. Tarter the whole affair was a wake-up call: SETI needs a permanent endowment. “It’s on my to-do list,” she said last winter. So she is not moving far, just down the hall, to concentrate on fund-raising. It’s time, she said, to go calling on Silicon Valley 2.0. Once upon a time it was a crazy, romantic idea, perhaps nothing better than wishful thinking. It still is, but it makes us feel bigger and more grown-up just to try. And now it comes with grown-up benefits, like a retirement plan. There might or might not be poetry in her soul, but Dr. Tarter’s whole career has been a poem. 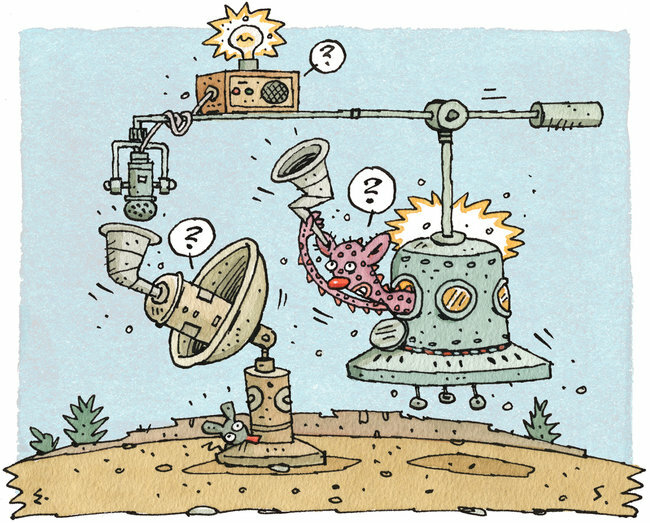 How would the public react if Seti found evidence of alien life? THE thousands of probable worlds discovered in orbit around other stars are making our corner of the universe appear a lot friendlier to life these days. The Kepler space telescope, which has its eye on 150,000 stars, is beginning to home in on Earth-size planets. Can Earth 2.0 be far behind? What will it be like? 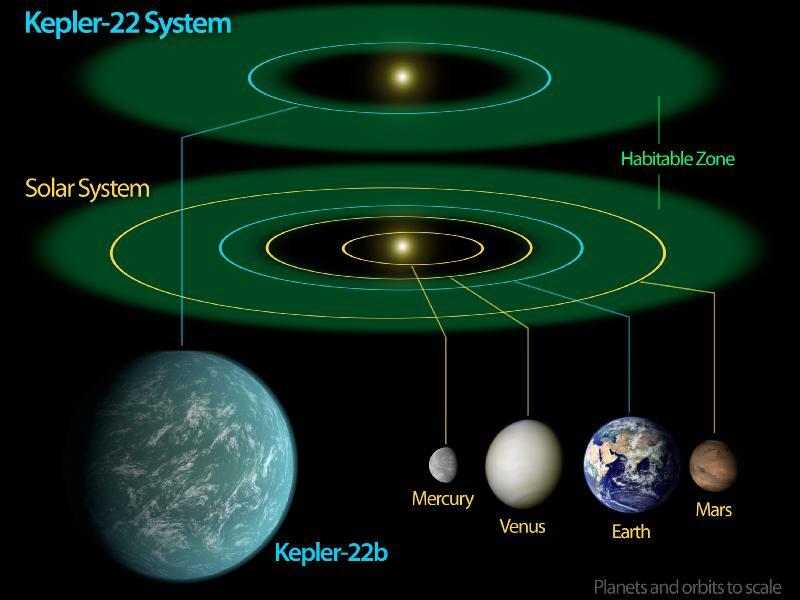 Earth 2.0 would be a rocky planet the size of our own, orbiting a star like the sun at a distance where the surface temperatures would allow liquid water oceans, assuming the planet was sheathed in an atmosphere containing greenhouse gases. Answering that question will be hard. It is quite probable that Earth 2.0 will be hundreds or even thousands of light years away; too far from us to detect trace chemical “biosignatures” that would suggest life. There is another way. We could look for life on Earth 2.0 via “technosignatures” such as radio signals produced by intelligent life. These would be cheaper and easier to find than biosignatures. It is a long shot, but one that is affordable and we can do it now. In fact the Search for Extraterrestrial Intelligence (SETI) has been on the case since the 1990s. Despite being denied public funds and derided by some politicians for seeking “little green men”, SETI still carries out searches with private money. For decades we have blindly checked the sky overhead or targeted stars that are old enough, metallic enough and stable enough to have rocky planets in the right orbits. Now, thanks to Kepler, we know where to look. Digital technologies are speeding up the searches, but they require investment to reap the rewards. SETI is a logical addition to the publicly funded endeavours exploring other worlds. It is time to fund it properly, either with public money or privately. Now that we know there are planets beyond our solar system, and where to find them, we should give SETI a fighting chance to see if anybody is home. We also consider several other models that seek to explain the Fermi Paradox, most notably percolation theory and two societal-collapse theories. In the former case, we find that it imposes unnatural assumptions which likely render it unrealistic. In the latter case, we present a new theory of interstellar transportation bandwidth which calls into question the validity of societal-collapse theories. 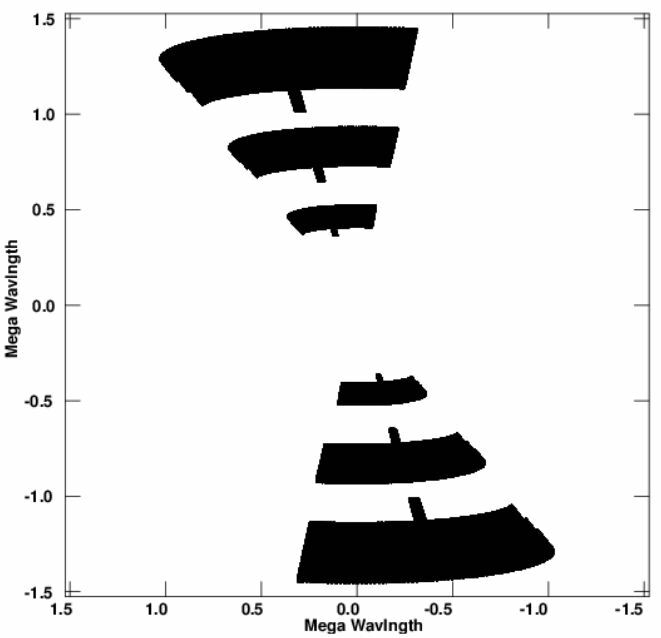 Finally, we offer our thoughts on how to design future SETI programs which take the conclusions of this paper into account to maximize the chance of detection….